A long time ago a famous Zen Master would say, "Understand your true self." One day, one of his students asked him, "Do you understand your true self?" He said, "I don't know. But I understand this 'don't know'." That's a famous "don't know" classic. So this "don't know" mind is very important. Keep this "don't know" mind and listen to me, OK? When you are thinking, your mind and my mind are different. When you cut off all thinking, then your mind and my mind are the same. If you keep "don't know" mind one hundred percent -- don't know -- at that time, your "don't know" mind, my "don't know" mind, everbody's "don't know" mind are the same. "Don't know" mind has already stopped thinking. Stopped thinking means no thinking. No thinking means empty mind. Empty mind means before thinking. Your before thinking is your substance. My before thinking is my substance (hits his chest). This stick's substance, universal substance, everything's substance, is the same substance. So, when you keep "don't know" mind one hundred percent -- don't know -- at that time you are the universe, the universe is you. You and everything have become one. That is, as we say, primary point. So, "don't know" is not don't know, "don't know" is primary point. Primary point's name is "don't know." Some people say primary point's name is mind, or Buddha, or God, or nature, or substance, or absolute, or energy, or holy, or consciousness, or everything. But true primary point has no name, no form, no speech, no word, because it is before thinking. Only when you keep a "don't know" mind one hundred percent -- don't know -- at that time you and everything have already become one. So I ask you, when you keep "don't know", at that time, are this stick and you the same or different?.... If you say "the same", I will hit you thirty times. If you say "different", I will still hit you thirty times. Why? You asked why I use words to teach if understanding through words is impossible. Words are not necessary. But they are very necessary. If you are attached to words, you cannot return to your true self. If you are not attached to words, soon you will attain enlightenment. So if you are thinking, words are very bad. But if you are not thinking, all words and all things that you can see or hear or smell or taste or touch will help you. So it is very important to cut off your thinking and your attachment to words. We are seeking something permanent -- permanent in the sense of time, something enduring, everlasting. We see that everything about us is transient, in flux, being born, withering, and dying.....But that which is truly sacred is beyond the measure of time; it is not to be found within the field of the known. A simple but profound way to practice not-knowing is to add "I don't know" to every thought. This is most effective in meditation when the mind has quieted down. So, for example, if the judgement arises, "This is a good meditation session" or "This is a bad meditation session", respond with "I don't know." Follow the thought, "I can't manage this", "I need....", or "I am....." with "I don't know." Like the bumper sticker that says "Question Authority", the phrase "I don't know" questions the authority of everything we think. Don't know. Don't know. Repeated regularly, it almost becomes a mantra in response to what we think or believe. This phrase can open up a space in the mind, helping it to relax and rest. The little phrase, "I don't know" is very, very powerful. Can we look at our lives in such a way? Can we look at all the aspects of our lives with this mind, just open to see what there is to see? I don't know about you, but I have a hard time doing that. I have a lot of habits of mind -- I think most of us do. Children begin to lose that innocent quality after a while, and soon they want to be "the one who knows." We all want to be the one who knows. But if we decide we "know" something, we are not open to other possibilities anymore. And that's a shame. We lose something very vital in our life when it's more important to us to be "one who knows" than it is to be awake to what's happening. We get disappointed because we expect one thing, and it doesn't happen quite like that. Or we think something ought to be like this, and it turns out different. Instead of saying, "Oh, isn't that interesting", we say, "Yuck, not what I thought it would be." Pity. The very nature of beginner's mind is not knowing in a certain way, not being an expert. 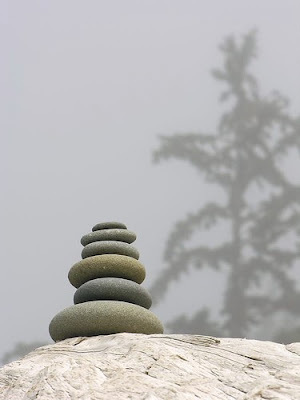 As Suzuki Roshi said in the prologue to Zen Mind, Beginner's Mind: "In the beginner's mind there are many possibilities, in the experts there are few." As an expert, you've already got it figured out, so you don't need to pay attention to what's happening. Pity. How can we cultivate this mind that is free to just be awake? In zazen, in just sitting, in sitting and noticing the busyness of our mind and all of the fixed views that we carry. Once we notice the fixed views that we are carrying around with us, the preconceptions that we are carrying around with us, then it is possible for us to let them go and say, "Well, maybe so, maybe not." Suzuki Roshi once said, "The essence of Zen is 'Not Always So'. "Not always so." It's a good little phrase to carry around when you're sure. It gives you an opportunity to look again more carefully and see what other possibilities there might be in the situation. In China, there was a teacher named Dizang (J.: Rakan) who had a student named Fayan (J.: Hogen). Dizang saw Fayan all dressed in his travelling clothes, with his straw sandals and his staff, and a pack on his back, and Dizang said, "Where are you going?" Fayan answered, "Around on a pilgrimage." Dizang said, "What is the purpose of pilgrimage?" Fayan said, "I don't know." Dizang said, "Not knowing is nearest." Sometimes it's translated as "Not knowing is most intimate." Not knowing is nearest or most intimate. So what is this "not knowing"? 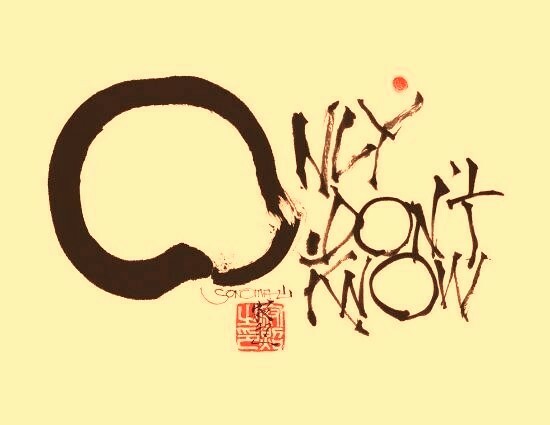 This is not the same "not knowing" as when Zhaozhou (J.: Joshu) asked his teacher Nanquan (J.: Nansen), "What is the way?" Nanquan answered, "Ordinary mind is the way." Just your mind, the way it is right here and right now. Zhaozhou asked, "Well, shall I seek after it or not?" Nanquan said, "If you seek after it, you will miss it." Zhaozhou said, "If I don't seek after it, how will I know the way?" 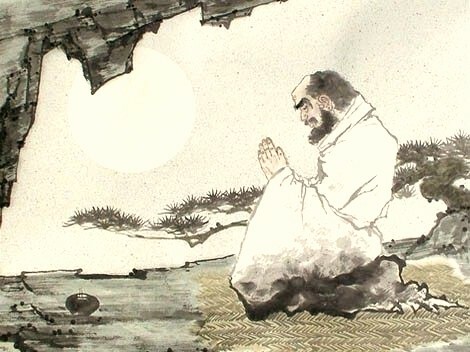 Nanquan said, "The way is not a matter of knowing or not knowing. Knowing is delusion, and not knowing is dullness. 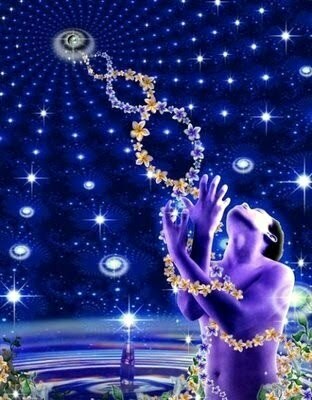 When you reach the Way beyond all doubt, you will find it as vast and boundless as outer space. What can that have to do with right and wrong?" Nanquan's "not knowing" is paired up with knowing. It's a dualistic pair -- not knowing as opposed to knowing. But Fayan's "not knowing" is just "I don't know, I'm going to see. I'm just going to set out and trust what occurs." That not knowing is non-dualistic. It's not set up against knowing. It's just "I'm going to set out on this pilgrimage and see what happens. Just this is it. Just each moment. Just this is it. Each moment I'll see what happens." With that kind of openness and readiness, when Dizang said "not knowing is nearest", Fayan opened up completely. When he spoke of "beginner's mind", I think Suzuki Roshi was pointing to that kind of mind that's not already made up. The mind that's just investigating, open to whatever occurs, curious. Seeking, but not with expectation or grasping. Just being there and observing and seeing what occurs. Being ready for whatever experience arises in this moment. Returning to Fayan's story, we need to remember that pilgrimage was an arduous undertaking in China fifteen hundred years ago. It meant walking long distances in straw sandals, depending on alms for food, visiting teachers, and trying to settle "the great matter": What is this? Who am I? What am I? What is this? How do I live a life that is impermanent? Given that life is impermanent, how do I live? What is this? These are very urgent questions when we come to actually have a strong sense of our beingness in the world. When our mind is somehow turned from its preoccupation with acquisition which is so prevalent in our society these days. Acquiring material goods, acquiring knowledge -- being one who knows. Getting. It's endless. As Stephen Batchelor says in Alone with Others, this horizontal dimension of having or getting or acquiring just goes on and on; there's always more. It's insatiable. There's never enough. But sometime, something will turn or transform our attention from this dimension of having and accumulating and acquiring to the dimension of being. What is that? What is it to be human? What is life? What am I? How shall I manifest this life now? This becomes the great matter. The evolution of man is the evolution of his consciousness Without self-knowledge, without understanding the working and function of his machine, man cannot be free, he cannot govern himself and he will always remain a slave. Strive to discover the mystery before life is taken from you. If while living you fail to find yourself, to know yourself, how will you be able to understand the secret of your existence when you die? Those who say they will die first and then rise are in error. If they do not first receive the resurrection while they live, when they die they will receive nothing. "And following our will and wind, we may just go where no one's been. We'll ride the spiral to the end, and may just go where no one's been. "